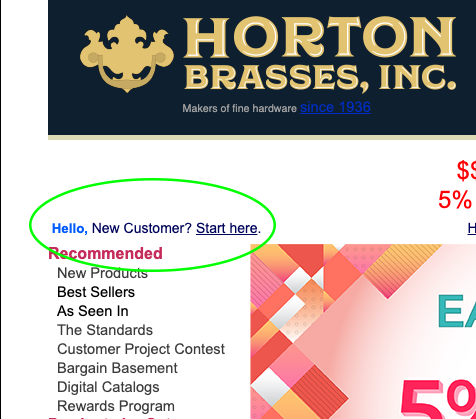 Rewards Program | Horton Brasses Inc. It's simple: earn rewards points on every purchase you make, then they are automatically applied to your next purchase order. All you need is an account, and the rest is up to us! Simply create an account with us if you do not have one already, sign into the account, and your points will automatically add up for your current order and automatically be applied to your next one. 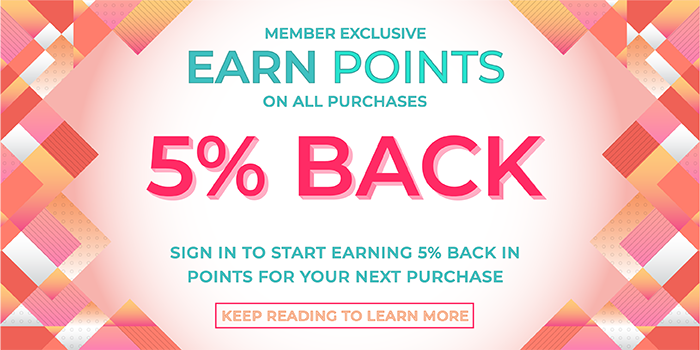 You MUST be signed into your account in order to start earning rewards points. You will not earn any points by signing in as a guest or checking out as a guest. To create an account: On the left side navigation, at the very top look for "Hello, New Customer? Start Here." 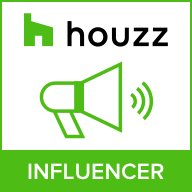 Click on the link for "Start Here". Follow the steps. To sign in to an account: On the top menu bar of the website, click "Login" next to Shopping Cart.